Interested in coding, but do not know where to start? You are in luck ladies! What is this? This is an event perfect for all the women out there who want to learn how to code. It is a free weekend workshop for women of all skill ranges – from never coded to professionals. This event allows you to learn Ruby on Rails. InstallFest starts on Friday November 13th, 2015, from 7 – 9:30 PM, the Workshop starts on Saturday November 14th, 2015, from 8:30 – 5 PM, and Sunday November 15th, 2015, even has an after-party for those who attend the event. Why do this? Why not?? It is free. It is also an experience that may change your life forever. How to sign up? Go online to https://www.bridgetroll.org/events/223 to register. **Only 22 students can attend this event so sign up fast! This entry was posted in events, women in technology and tagged Ruby on Rails, women in coding on November 1, 2015 by thompsonbe. NCWIT Academic Alliance member students are encouraged to apply to the SANS CyberTalent Immersion Academy for Women. This is a great opportunity for RMU students since we are now members of NCWIT. The SANS Institute is presenting the SANS CyberTalent Immersion Academy for Women to encourage women to enter the cybersecurity industry. Academy participants receive intensive, accelerated training and certifications to quickly and effectively launch careers in cybersecurity. The SANS Institute is offering free SANS courses for female junior and senior college students and recent graduates; this is worth over $20,000. Students must take the qualifying exam by October 30th to be considered for the Academy. Contact womensacademy@sans.org to get a unique link to the exam or if you have any questions about the program. This entry was posted in cyber forensics and information security, women in technology and tagged academic seminar, women in IT on October 14, 2015 by Caitlin Counihan. Ada Lovelace Day, observed on October 13th, celebrates the achievements of women in science, technology, engineering, and math (STEM). The holiday is about sharing stories of women – computer technologists, engineers, scientists, and mathematicians – who have been inspirational in their fields. The aim of the holiday is to create and encourage new role models for girls in these male-dominated fields by acknowledging the many and varied contributions of women in STEM. Why is it named after Ada Lovelace? 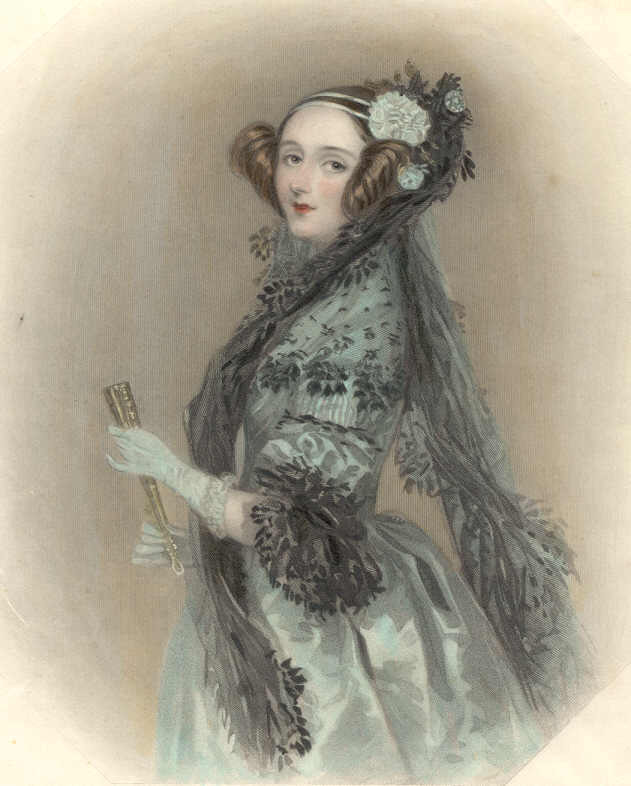 Ada Lovelace (1815-1852) is widely known for writing an algorithm to calculate Bernoulli numbers for Charles Babbage’s Analytical Engine, an early computer that used punch cards for input and output. This algorithm is widely considered to be the first ever computer program, making Ada Lovelace the world’s first computer programmer. Feel free to share stories of women in STEM fields who have inspired you in the comments! This entry was posted in in the news, women in technology and tagged Ada Lovelace Day on October 13, 2015 by Dr. Jamie Pinchot.